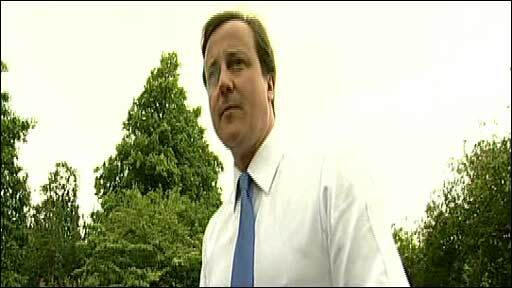 The Conservatives have taken control of Devon County Council from the Liberal Democrats. The Tories have taken 41 seats giving them a majority in the 62-member county council. Of the remaining seats, the Liberal Democrats won 14 while Labour received a total of four seats. As well as losing a number of seats to the Tories, the Lib Dems lost Totnes to the Green Party. Two Independents have also won seats on the council. The results mean that with 41 seats on the council, the Conservatives won almost twice as many as the rest of the parties put together with their combined total of 21 seats. 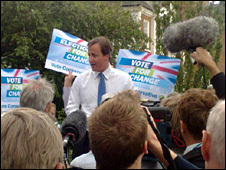 Conservative leader David Cameron told activists in Exeter, the headquarters of the county council: "You can see the Conservative Party, strong, united and positive, winning in every part of our country. "And it has never been more necessary to be that strong voice for change. "We need a party that is going to bring thrift to our government, that is going to bring responsibility to our society, and right now is going to clean up our politics, that is what the Conservative Party will bring." In Ilfracombe, Labour were beaten into sixth place behind the British National Party. The BNP won 110 votes, a 3.6% share, compared with Labour's 67 votes or 2.2% share.